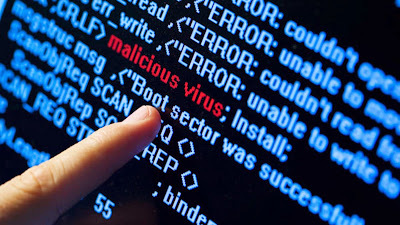 If your System is infected by this VIRUS then whenever you plug-in any external USB Drive then this VIRUS is going to move all your data from ROOT of that Device to another special directory (A directory without name), and in ROOT of that device, you will find a shortcut that points to windows system rundll32.exe binary file. When you run this shortcut, now you will be able to access your data of that Device. And there will be one file, that is main VIRUS BINARY (DLL FILE) if its name follows this pattern. When user click that Shortcut, this is going to install into your System (Size ~ 90MB). This virus use windows resources, so no anti-virus softwares are able to detect it. Behind the scene, but i can tell you that, it must be very powerful and dirty virus. latest VIRUS, that no anti-virus is able to detect or remove. plug-in USB Drive into your PC, shortcut appears into root of your USB Drive. If you clicked that shortcut, VIRUS code is going to execute (or virus had been silently installed.) on your System. # To remove VIRUS, run application and hit __RUN__ button, that's it, DONE! # For Windows Vista or XP, first you need to download and install Windows Management Framework. # though i write this application to only remove this virus (which using msiexec program), yet this GUI will help you to remove any kind of virus, all you have to do is, manually operate it. it's code is open-source and either you can download pre-compiled binary file or download source file and compile it yourself, or run PowerShell script, just to remove virus from your System.